Long-term contracted employees also enjoy a fully furnished apartment for comfort. Key Housing, San Diego’s Corporate Apartment leader, is proud to announce updated listings for serviced apartments specific to San Diego county and all of Southern California (SoCal). Europeans on extended holiday or HR managers searching for furnished apartments (which they may call 'serviced apartments') can find several choices in Southern California. Ariva, San Diego, for example, has been announced as Key Housing’s featured property for May 2017. Ariva furnished apartments can include state-of-the-art amenities for vacationers and long-term employees alike. To review more details for San Diego serviced apartments, visit http://www.keyhousing.com/rightside.asp?action=form3&ID=462. Further information for furnished apartments including the Ariva in San Diego can be found at http://www.keyhousing.com/rightside.asp?action=form3&ID=854. Serviced apartments generally include secure parking, full kitchen, laundry services, patio and pool area; however, each San Diego rental property is unique, so please check with Key Housing before making a commitment. Finally, interested parties (including journalists and bloggers) are encouraged to visit the company's lively blog on California corporate housing at http://blog.keyhousing.com/. Southern California, from Santa Barbara to Los Angeles to San Diego, has been known as a vacation destination by travelers the world over. European visitors on holiday may choose a city like San Diego for an extended-stay vacation. If a visitor has business to conduct as well, a San Diego serviced apartment could provide the best balance. Out-of-town visitors may prefer the amenities temporary housing offers as compared to a hotel. If family members go along for the trip, the availability of on-site laundry services and a full kitchen can help ease the costs of daily living away from home. Key Housing, top purveyors of corporate housing in California, has announced an updated listing of the best serviced apartments in Southern California. For example, San Diego’s Ariva has been chosen as the featured property for May 2017. The property can offer an upscale living environment for Europeans on holiday or business. Modern furnishings and amenities such as free WiFi, full kitchen and on-site laundry facilities offer many of the comforts of home. Close proximity to business parks and vacation destinations such as Old Town San Diego can deliver a great balance between work and play. Secure parking facilities might provide an easy commute for out-of-town employees. Corporate apartments can bring the best of business and pleasure to San Diego visitors. 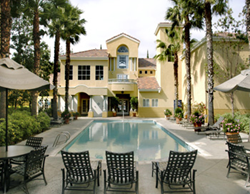 Based in Folsom, California, Key Housing Connections Inc. (http://www.keyhousing.com/) specializes in corporate housing and corporate rentals in cities like San Diego, Los Angeles and Anaheim. Whether the need is for a serviced apartment or a short term rental, corporate housing or short term apartments, just browse our listings to find the rental that fits one’s short term corporate housing needs. We are competitive with extended stay hotels in cities such as San Diego, Santa Clara and even Long Beach. Many nurses, interns and people seeking pet friendly corporate rentals or corporate relocation services depend on us for furnished apartments and other temporary housing needs. Whether after Costa Mesa corporate housing, short term rentals in Los Angeles, or a serviced apartment in San Diego - we can aid the search for the right apartment in the Golden State. After all, we're among the top-rated short-term apartment listing service in areas like Orange County and Los Angeles County. Whether it's serviced apartments or a furnished rental, just search, click or call today!